The Detroit Zoo gets even wilder on Wednesday nights during August with its annual Wild Summer Nights #concert series. Concert-goers are invited to bring a blanket and pack a picnic. Mr. Seley and the Troublemakers will play children's music in the Main Picnic Grove from 6:30 to 8 p.m. while the entire zoo is open until 8 p.m. Visitors can enjoy the zoo for a special $6 pricing after 6 p.m. There is a grill tent in the Main Picnic Grove that serves Hot Dogs, Hamburgers, Brats, Vegetarian Hoagies and more. Beer and wine also available for purchase. 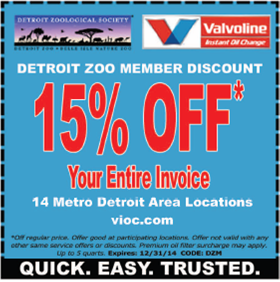 All of our readers may print this special coupon for a discount at Valvoline Instant Oil Change. Coupon will be accepted without Zoo Membership. 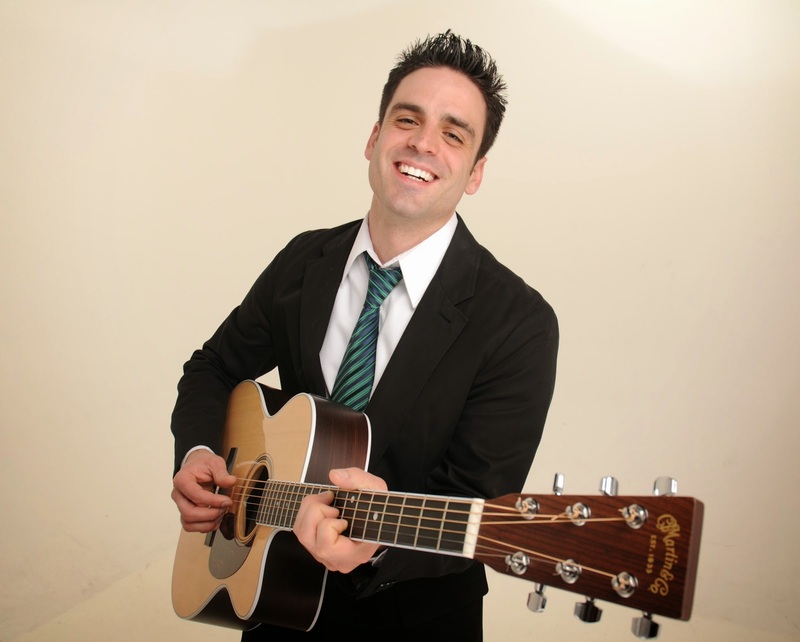 The final summer concert of the season will be on Aug. 27 featuring The Joe Reilly Band (children’s music).